The Super Bowl is the party of all parties for NFL fans, so what better way for Pixar to celebrate than by taking their Toy Story 4 characters to the carnival? 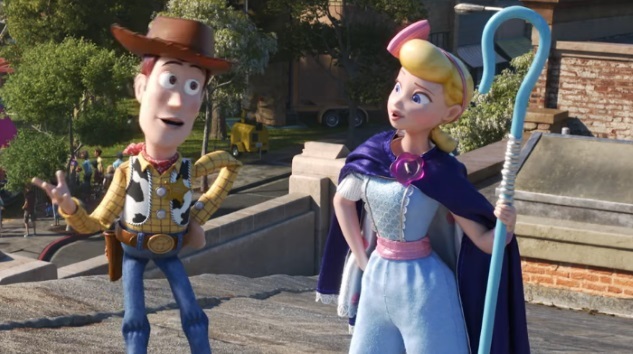 A brief new teaser was released for the anticipated film, which arrives a decade after the epic finale that was Toy Story 3. I still don't know how they plan to followup that story with anything that can compare emotionally, but if anybody can do it, it's Pixar. 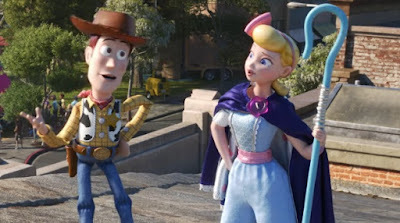 In this footage we see Woody reunited with his love, Bo Peep, who hasn't been in the franchise with a speaking role since Toy Story 2. If you recall, she and a few of Andy's other toys were shipped off to a new owner, but now she's returned and has apparently taken destiny into her own hands. We also see Buzz Lightyear getting ribbed (and kicked) by the new characters voiced by Key & Peele. Here's the synopsis: Woody has always been confident about his place in the world and that his priority is taking care of his kid, whether that’s Andy or Bonnie. But when Bonnie adds a reluctant new toy called “Forky” to her room, a road trip adventure alongside old and new friends will show Woody how big the world can be for a toy. Toy Story 4 opens June 21st.